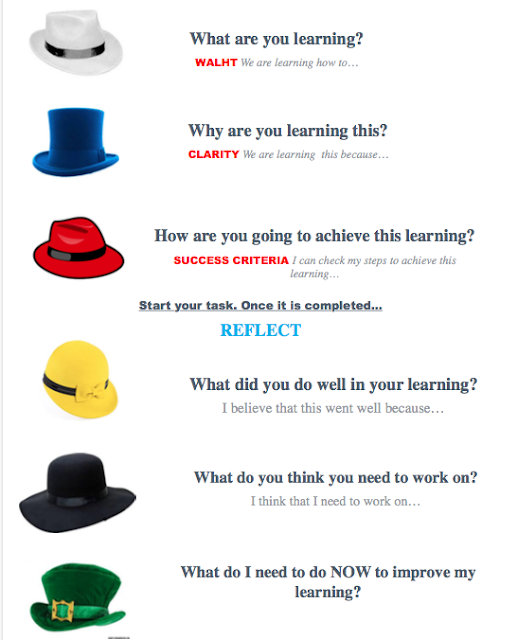 Throughout term 2 I had been supporting my learners to do self-reflection using De Bono hats. Reflection is about students becoming aware of their own thinking processes. It helps my learners think of the learning tasks in front of them and to reflect after completing the task. However, this has become laborious tasks to some of my learners. It was obvious they need more support and had to re organize and re- arrange how I do the reflection.